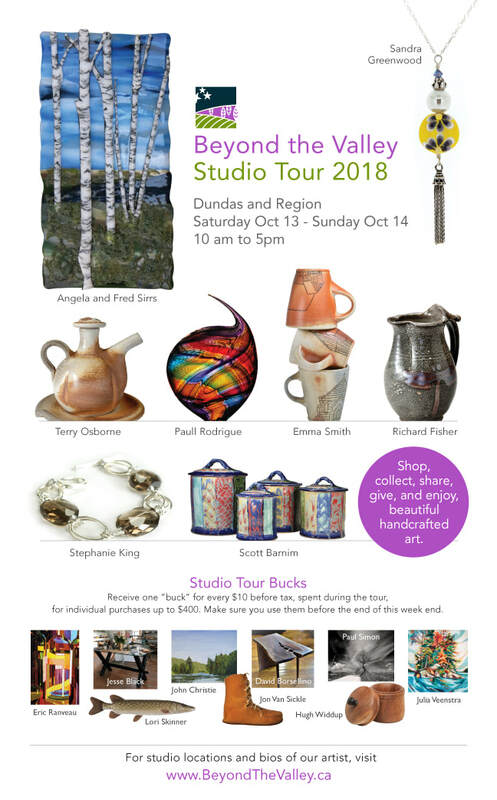 ​I am excited to have been invited to be a guest artist in the studio of Fred and Angela Sirrs this year. Fred and Angela create exquisite jewelry with fused glass and Angela now uses fused glass to create amazing landscapes. The image of birch trees in the top left corner of the invite is one of her glass pieces. I will have a selection of my plein air landscapes. I had a fantastic summer and this will by my first chance to display my paintings from around Georgian Bay and across the top of Lake Superior. For more tour information click here. I have participated in this exciting event since its inception and I am pleased to submit at least one painting again this year. This event is so popular that tickets were sold out withing 24 hours of when they went on sale. It is a night of fun for the purchasers and can be a night of anguish for the artists standing hoping that their paintings get picked early enough to be able to maintain some dignity.